Can you afford the time this will take to reply to customers? WhatsApp has over a billion users (around 23.4m in the US and YY in Europe), and only people in your contact list can pay you. Which means you need to keep on adding people to your contact list so that they can chat, use WhatsApp payments (you can only get paid if they are in your contact lists) and other functions. Timely and not without its rewards but a key consideration. You may have to buy more technology too as WhatsApp Business works with one number so if you don’t want to lose your personal contacts, you’ll need a different number. Do you do a lot of business in India? By far, India is home to Whatsapps largest group of users, +4x the amount of US users. If this is where you make your money, being on WhatsApp is less of a no-brainer and quite possibly mission critical. Europe is equally popular, but if your business is US-focused there may be better ways to spend your time and money right now. Do you get a lot of the same questions over the phone or via email? Already seeing some creative uses by governments and business including concierge services, food ordering, medical consultations, helplines, WhatsApp Business App will help small and medium businesses get closer to their customers but it is not without cost or issue. There is currently one payment option, and that is UPI payments, while very popular it is by no means the only way to receive payments that businesses use today (or in the future). The app also offers no insights and reports for companies at the moment making the app feel somewhat unbusinesslike. Instead, the app relies on you to label customers but doesn’t give you any data on them which is a shame and a missed opportunity for WhatsApp (perhaps down the line this will be rectified for a fee?!). Refunds are also an issue for many businesses as the app does not yet allow refunds which means a manual process for business owners. Combined these issues should give anyone significant pause before diving in. Meant for small businesses, WhatsApp Business App is an interesting look into a future that a lot of the big platforms want. Facebook, Snap and other large platforms are all pushing in one direction, more business on the platform and fewer platforms with more features ala Asain mega-apps like WeChat, Grab, Go-Jek and company. 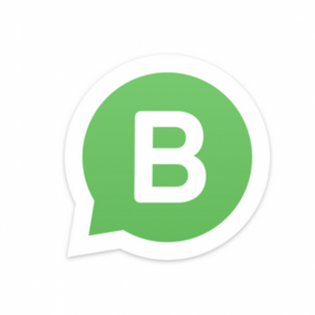 While WhatsApp Business App is not the option to use if you are a larger business (for this look at using WhatsApp Business API), early features and moves suggest WhatsApp will use early iterations to further refine a longer-term product for businesses although not everyone is convinced that WeChat-type apps will ever succeed in the US. WhatsApp Business App is available now in Brazil, Germany, Indonesia, India, Mexico, the UK, and the US. Additional territories will roll out over the next three months.